A truly historic broadcast. BEYOND THE FENCE marks a new dawn in the evolution of musical theatre – the first complete show ever to be ‘written’ by computer! This is the complete broadcast of the musical whose extraordinary story – a meeting of science and art as never before – is told in Computer Says Show’. 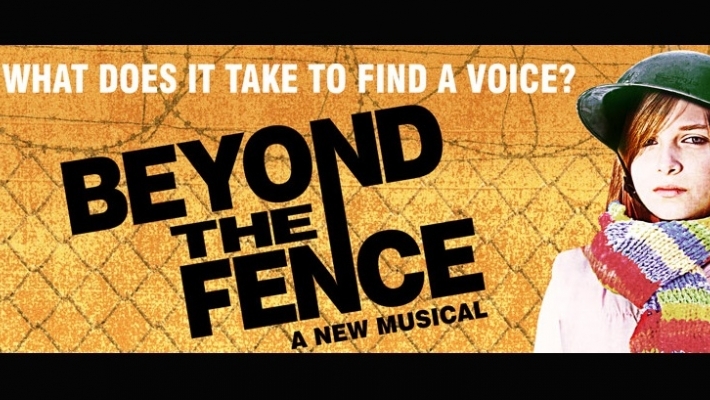 Beyond the Fence is a powerful new musical about hope, defiance, unity and love. Set in 1982 it tells the story of Mary and her daughter George who are celebrating one year living at the Greenham Common peace camp. The group of women they have joined are all committed to stopping the arrival of US Cruise missiles through non-violent protest. When Mary is faced with losing her child to the authorities, an unlikely ally is found in US Airman Jim Meadow. How can she continue to do what is best for her daughter while staying true to her ideals? Conceived and substantially crafted by computer, Beyond the Fence is modelled on a statistical study of the ‘recipe for success’ in the world’s favourite musicals. This unique and heartfelt show was created by composer Benjamin Till and his husband Nathan Taylor, the award-winning team behind Wingspan’s Our Gay Wedding: The Musical in collaboration with leading experts in machine learning, algorithmic composition, artificial intelligence and the science of computational creativity. The ground breaking musical ran at the Arts Theatre in London’s West End in February and March 2016 and was commissioned from Wingspan by Sky Arts along with the documentary series ‘Computer Says Show’. Can computers create art? See ‘Beyond the Fence’ and judge for yourself. **** Extremely moving and emotional… it could be one of the most important pieces of theatre to come out of London this year. *** What’s our measure for success? Well, the audience was applauding just about every number and was brought to tears.